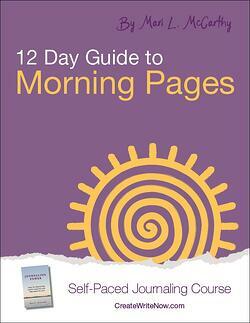 Have you gotten into the personal transformation journaling habit of writing Morning Pages every day? The idea is to write three pages without stopping in your personal journal – free-writing your stream-of-consciousness thoughts – as soon as you wake up. This gives you a way to clear your mind, leave worries and frustrations on the page, and start the day renewed. It’s a simple exercise, but many people struggle with making Morning Pages a daily habit. It takes practice to reach for your personal journal instead of your smartphone first thing in the morning. But once you get in the swing of doing it every day, you’ll find you look forward to writing down your thoughts and starting the day fresh. Free-writing is exactly what it sounds like: you’re free to write about anything that’s on your mind. Some people love this independence and run with it; others do better with a bit more structure. If you fall into the latter camp, here are a few Morning Pages prompts to get yourself in the writing groove. Pick an idea, start writing, and see where it takes you! What happened in your subconscious reality last night? Write down everything you can recall about your dreams while they’re still fresh. Do you remember tons of details, or did you just have a certain feeling when you woke up this morning? Do you often recall your dreams easily? Do you have recurring dreams? What do you think they mean? Think about what you have coming up in your day. What’s most important? What are you worried about? What are you looking forward to? How do you want each part of your day to go? Write about what your ideal day would look like if you could plan it to your exact specifications. Reflect on the painful emotions or situations that you’re dealing with right now. Are you holding onto something that’s hurting you? For example, maybe you’re angry at your partner, or you feel bitter about getting passed over for a promotion, or you’re disappointed that a friend let you down. Write in your Morning Pages about the resentments or frustrations that are eating away at you. How can you forgive and let go? Use the opportunity to give yourself some well-deserved compliments. What are you feeling good about today? What do you want the world to notice about you? Your incredible listening skills, your calm demeanor in a crisis, your dazzling smile? Write it down in your personal journal! You probably have a to-do list of things you need to do but dread getting started on. But what about those things you’ve been putting off but truly want to do? What is on this list for you? Planting a vegetable garden, or getting back in touch with an old friend, or trying CrossFit for the first time? Why do you think you’ve been procrastinating? Why do you want to move forward on this project? What’s holding you back? 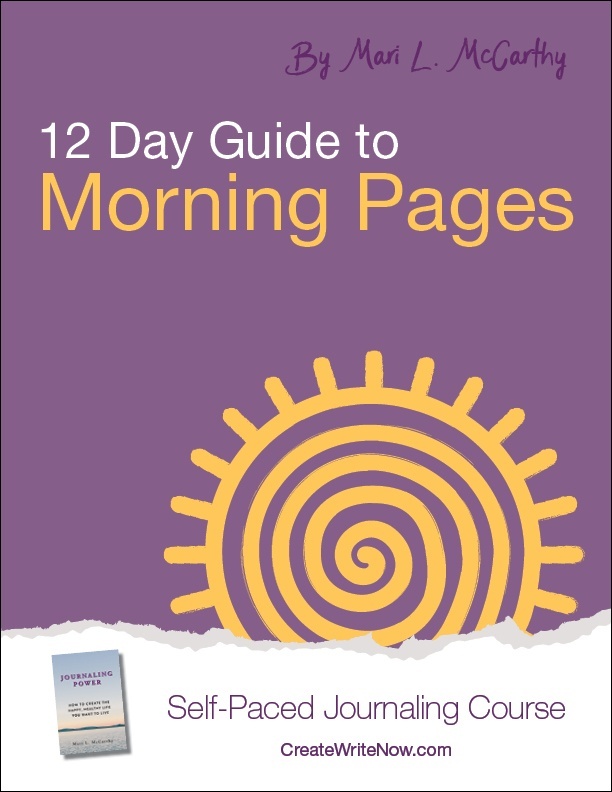 Learn how to kickstart your Morning Pages habit in just 12 days.